As essential employees, TSA agents are among those required to work without pay during the partial government shutdown. Passengers are being directed to go through TSA checkpoints at Terminals C and E.
Update: As of January 18, Terminal B will remain closed until further notice. The TSA security checkpoint and ticketing counter at Bush Intercontinental Airport’s Terminal B will remain closed due to staffing shortages, as a result of the partial government shutdown. 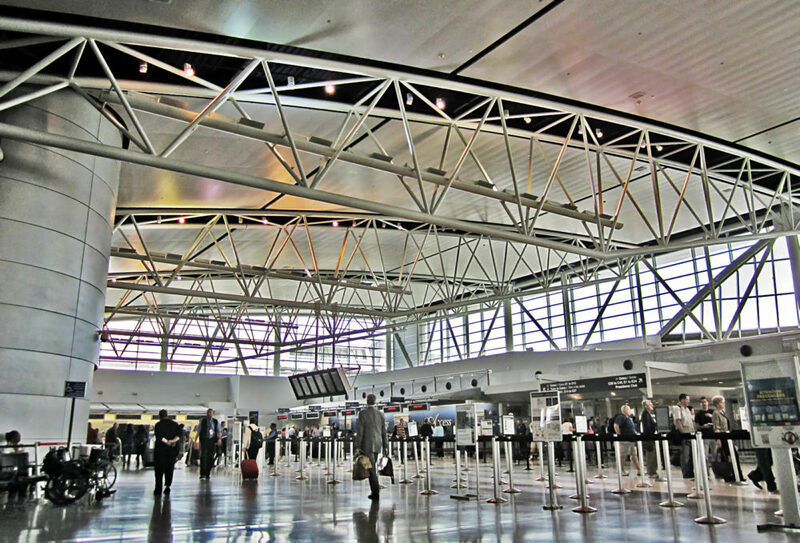 Begley said that about 2,300 passengers typically pass through the security lanes at Terminal B. “When you compare that to the 35,000 or so that go through security lines on a daily basis at Bush, that was the one that had the least amount of impact,” he said. Flights scheduled to depart from Terminal B, which houses United Airlines, are still operating normally, and passengers are being re-directed to go through TSA checkpoints at Terminals C and E.
Terminal B’s checkpoint closed Sunday, January 13 at 3:30 pm and was initially scheduled to reopen Monday morning, according to a release from IAH. But Begley says the decision to reopen Terminal B’s security checkpoint will be based on a day-to-day assessment. “If TSA sees numbers that allow them to fully staff efficiently all seven checkpoints they’ll let us know and we will adjust,” he said. TSA agents are among the 800,000 government employees that have either been furloughed or are required to work without pay during the partial government shutdown, which at 24 days is currently the longest shutdown in the country’s history. As essential employees, TSA agents are required to work without pay. This has resulted in an increase in agents calling in sick to protest the shutdown. On Monday morning, 7.6 percent of TSA agents had unscheduled absences nationwide — up from 3.2 percent a year ago — according to TSA. Miami International Airport also closed a terminal over the weekend, and security lines at Atlanta’s Hartsfield-Jackson International Airport were reported to be over an hour long on Monday. With Terminal B’s security checkpoint closed, airport officials — along with Mayor Turner — are encouraging people to arrive early to allow for possible longer wait times to get through security. Passengers can also view estimated wait times for each of the terminals online. Despite Terminal B being closed, as of Monday afternoon the average wait times for Terminal C and E were both under 10 minutes.